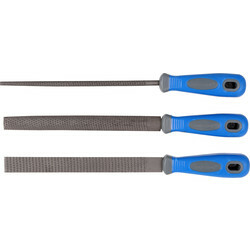 Discover the file and rasp selection available at Toolstation, including flat files, needle files and file sets from trusted brands Silverline and Draper. 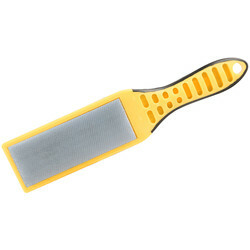 Files and rasps are designed to be used between saws and sandpaper. 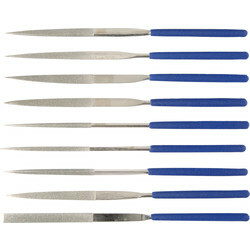 The Draper file set of 16-pieces consists of hand and needle files, ideal for finishing and shaping metal. 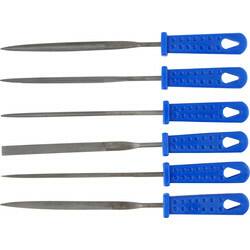 Needle files are small files designed for precision work; the smooth edge on one side ensures the file doesn’t mark metal. 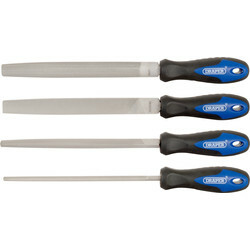 Alternatively, we stock a 4-piece Draper file set with a flat file, half round file, round file and three square. These files can be used for creating grooves, and for finishing metal. 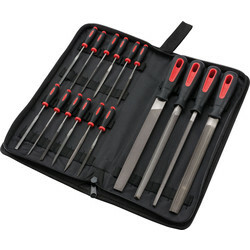 Each file is made from hardened and tempered high carbon steel with soft grip handles and incorporating hang hole. Shape wood and other materials with a rasp set. Rasps are coarse files that have individually cut teeth, making them ideal to be used to smooth a surface. 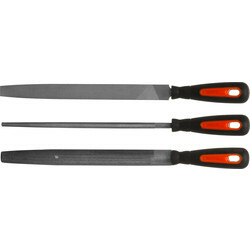 Rasps have uniform teeth, ensuring an even finish and quick work of metal removal and shaping. 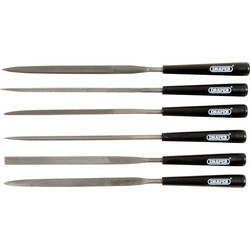 The Silverline rasp set comes complete with round, half round and flat rasps. 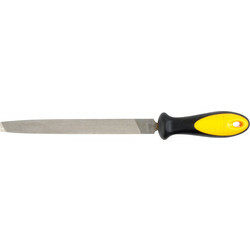 Each rasp has a polypropylene soft grip handle and hardened blade.